The weather in the late afternoon in the city of Adelaide resembled the night of the Western Bulldogs in their round 13 clash against Port Adelaide on Thursday night – dreadful. 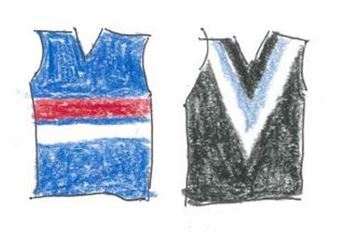 Not in the sense that they were so lacklustre and that they were comprehensively beaten from start to end – with 57 points separating the two teams by the final siren – but a multitude of injuries just added salt into the wounds of the Western Bulldogs. By half-time, they were reduced to just two men on the bench after making amends for a tumultuous first quarter. Their captain Easton Wood suffered what appears to be a nasty hamstring injury, with coach Luke Beveridge saying post-game that he will be out for a significant period of time. Their best player of 2018, Jack Macrae, injured his hamstring as they were warming up after half-time – it really summed up how horrid their luck has been in terms of injuries this year. This game after such a poor start, where turnovers and a lack of want for the ball resulted in a dominant first quarter from the home team. The Bulldogs only kicked two goals in their last visit to Adelaide Oval, and were on track to match a poor total again, only registering one behind for the entire term. They recorded just seven inside 50s for the term and only could lay nine tackles, but it was the fact that they couldn’t clear from defence that resulted in a Port onslaught, kicking 5.5 for the term and it could’ve been worse. 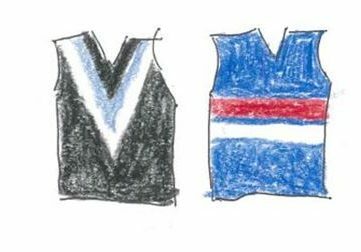 The kicking from the Dogs was that bad that Luke Beveridge stormed out of the coaches’ box early in the quarter to try and get his troops in order, but there wasn’t much he could do, as the Power dominated from turnovers. On a more pleasant side of things, it was great for the Power faithful to cheer in 13th minute for Todd Marshall, who made his first appearance for Port since losing his father back in April. Six months earlier, he lost his mother, which made the moment all the more poignant. Kudos to Hayden Crozier as well, who gave him heart-felt well-wishes on camera. Whatever Beveridge said to the Dogs at quarter-time looked to have done wonders to the side as they came out of the first break the better of the two sides early on. Ed Richards had a solid opening term and continued on this form with his first goal in the AFL. Normally played as a half-back option, he was trialled up forward in the second term and it payed off handsomely, kicking a further two goals for the term each one harder than the previous. Marcus Bontempelli was also getting involved after a quiet start and even got on the scorecard himself with a brilliant goal that required minimal time to complete. However the Power showed some fight back, just as the Bulldogs were gaining momentum. No Bulldog could’ve laid a finger on Robbie Gray the way he was playing and he kicked a badly needed goal after two quick ones from the visitors. The momentum the Dogs had built was stopped dead in its tracks when their captain went down midway through the term. After Lukas Webb missed a vital opportunity at goal, the Power made them pay with two goals before the end of the half making it a 25-point margin at the main break. The third term brought a quick start that the Bulldogs badly needed to get them back into the game. Mitch Wallis – who was said to be out-of-favour during the week – took an impressive grab to get the first of the second half, but the Power always found a way to keep the Dogs out of serious contention. Jared Polec kicked a miraculous goal from long range by the boundary in the opening quarter, and kicked a goal that mirrored that in response to the Wallis goal. Luke Beveridge said post-game that a number of players were playing hurt. Webb (Broken Thumb), Tom Boyd (Dislocated Finger) and Toby McLean, who had hurt his shoulder in the opening two seconds, all played out the match when they probably shouldn’t have. The walking wounded was starting to take its toll; Port Adelaide started doing as they pleased as the second half progressed. The Bulldog defence had way too many holes to win this game. Things went from bad to worse for the Bulldogs on the injury front in the final quarter as Marcus Bontempelli landed awkwardly and went to ground clutching his knee. Whilst initially it looked bad, he eventually came back onto the field and continued to try his heart out. The Dogs must be plauded to a certain degree for fighting through adversity. They kicked 11 goals to Port’s 15 after the first break but the damage on the scoreboard was done by quarter-time, but the missed tackles and the poor kicks from defence, whether it be turning the ball over or kicking to a team-mate to set them up for a turnover, that sort of stuff kills you in a game of footy. Missed tackles were a theme all throughout the night and the Power were able to waltz through wimpy tacklers and slot goals with such regularity. Despite the best efforts of the likes of Patrick Lipinski, Billy Gowers, Toby McLean, Ed Richards and Zaine Cordy in the last quarter, the Power overran them in the final half of the term to run out 57-point winners as they continued to solidify themselves in the eight. Whether or not they are a genuine side or not remains to be seen. The margin should’ve been greater as they had way more opportunities yet couldn’t convert them all. Bontempelli led the way for the Bulldogs with 23 disposals, along with a team-high 10 clearances and five tackles and was perhaps the most influential Bulldog on the ground – bung knee and all. Ed Richards’ three goals was a huge highlight and he won a lot of ground ball as well, with nine of his 15 disposals contested. Hayden Crozier (21 disposals, nine rebound 50s and eight marks) played his best game in Bulldogs colours, Zaine Cordy (14 disposals, six marks and eight intercepts) had a good return game in defence, and Bailey Williams (21 disposals, six marks and nine intercepts) continues his good year. I’ve put a bit on him over the past few weeks, but I thought Luke Dahlhaus played a solid game, recording a team-high 24 disposals, and five clearances. Also a special mention to the former Lion Josh Schache, who got himself involved throughout the night, kicking 1.2 from 15 touches in what were trying conditions. He’s steadily building confidence in his game and brought the ball to ground more often than not. The Bulldogs had no answers for either Ollie Wines (35 disposals, seven tackles, six clearances, six marks and a goal) or Robbie Gray (Three goals from 28 disposals, six clearances and four inside 50s) – They did as they pleased. Tom Rockliff (25 disposals, seven clearances, six tackles, six inside 50s and three goals) was also massive in the middle and has been a cracking acquisition for the Power this season after a slow start. Chad Wingard (30 disposals, six clearances, eight tackles and eight inside 50s) also had the ball on a string. Paddy Ryder was dominant in the hitouts and around the ground, recording 41 taps, along with 14 disposals, five clearances, four tackles and one goal. Justin Westhoff (19 disposals, two goals, five tackles and seven marks) had a good all-round game, whilst I thought youngsters Dan Houston (20 disposals, seven marks, six inside 50s and a goal) and Sam Powell-Pepper (24 disposals, seven clearances and six inside 50s) were also impressive. If a game where getting beaten by nearly 10 goals while racking up a number of injury concerns wasn’t bad enough, the next five weeks for the Bulldogs are going to be hellacious. Four of the next five matches are against sides currently inside the top eight. Starting with next Saturday night as they take on the greatly-improved North Melbourne back at Etihad Stadium. This is a team that the Bulldogs have had good history against in recent times, but given the respective forms of these two sides, this looks like another uphill task for the Sons of the West.